and every year this century. But why? True blowouts — the kind that make you cringe a little with embarrassment, even if you’re cheering for the winning team — are increasingly rare in the low-scoring NHL, but they still happen. 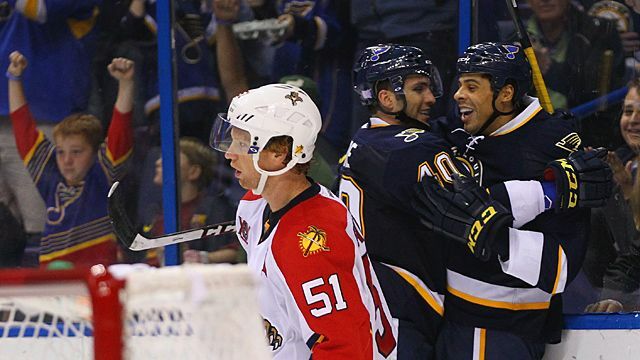 This season, there have been three games in which one team won by six goals or more: The Blues beat the Panthers 7-0, the Sharks embarrassed the Rangers 9-2, and the Ducks shut out that same New York team 6-0. Notice anything they have in common? This NHL season began with a shift in the balance of power. The league introduced a divisional realignment that moved the Detroit Red Wings and Columbus Blue Jackets east and sent the Winnipeg Jets west. In addition, this year saw the return of inter-conference play.1 Fans were left wondering how those changes would affect the playoff races and whether one conference would emerge with an edge over the other. Two weeks into the season, it would appear that we already have an answer on that second question: The West is better — and it’s not close. Those blowouts we mentioned above, all of which featured a Western team smoking an Eastern opponent, were three of the 46 inter-conference games played through Wednesday night. In these matchups, the West has won 31 times. Of the West’s 14 teams, 10 have winning records against the East, and three more are even. Only one Western team, the Edmonton Oilers, holds a losing record against the East. The gap between conferences is even more apparent at either end of the standings. There are two undefeated teams left, both in the West. Three teams have points in every game played, all in the West. Whenever you see a cool “early-season dominance” factoid get mentioned, it’s usually about the West. But it led me to wonder how the conferences have done against each other over time. You might assume the West has been stronger in recent years, but how far back does it go? And can we learn anything from the seasons in which the East was on top? Luckily, the NHL website’s standings archives include each team’s inter-conference record, so we can add up the totals to get the big picture. Unfortunately, the usable data only goes back to the 1998-99 season, which was the last to feature traditional standings (with just wins, losses, and ties). For some reason, that seems to break the NHL.com standings — for seasons prior to 1999, the two conferences’ records don’t add up. 1. You may notice that the rows for the first few years keep adding up to different totals. This was back when the NHL was using an unbalanced schedule that it kept tinkering with every season. 2. The NHL eliminated ties after the 2004-05 lockout. Yikes. There are a couple of photo finishes in there, but that’s 12 consecutive years in which the West has won more against the East than it has lost to them. Even if you’ve long accepted the theory that the West was the better conference, a dozen straight years seems like a lot. 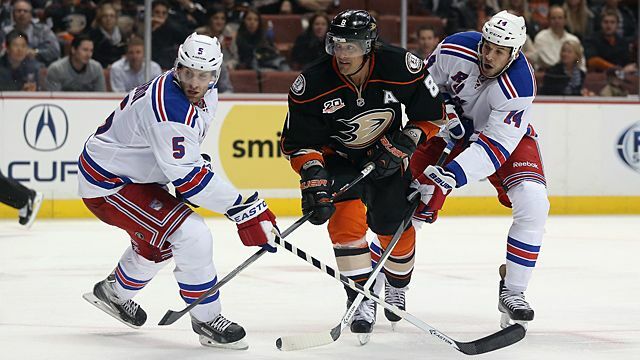 Style of play — There has long been a perception that teams in the West play a faster, more wide-open game than they do in the East, where there’s still an emphasis on clogging up the neutral zone and slowing things down. That’s a tough thing to quantify — it’s not like the West produces more goals8 — but it could be a factor. If the two conferences have evolved to play slightly differently over the years, it’s possible that one of those styles could have an advantage head-to-head. 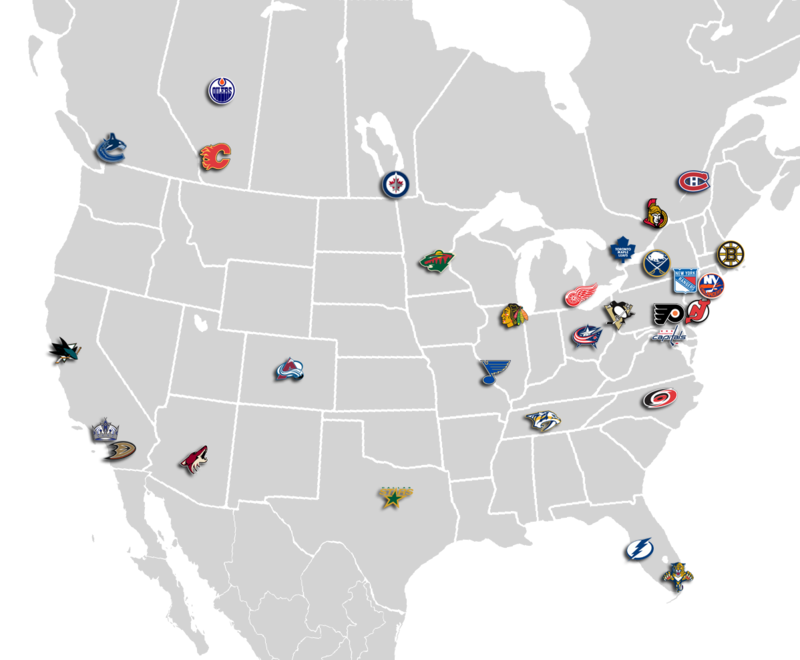 Travel — The NHL’s geographic distribution of franchises means that the Western teams get stuck with far more travel. In fact, this year most of the Western teams seem to travel about 10,000 miles more than their Eastern counterparts. Overall, that’s a disadvantage for Western teams. But when it comes to inter-conference games, being used to the strain could present a slight edge. Maybe a California-based team going to New York will adjust more easily than a New York–based team flying out to California. It makes sense, but you’d think the advantage would be minor — and certainly not enough to explain 12 years of dominance. A rising tide lifts all boats — Could the presence of one or two excellent teams force everyone else to aim higher, eventually resulting in a kind of across-the-board improvement? For the West, the time frame we’re looking at features a long stretch of dominance from the Red Wings. It also includes the late stages of the Sakic-Forsberg Colorado Avalanche team, which is eventually replaced by the Canucks (who won back-to-back Presidents’ Trophies) and Blackhawks (two Cups), not to mention today’s very good Kings team. Maybe all those elite teams are forcing everyone else in the West to keep up, resulting in a better conference. It’s a decent theory, but it’s worth remembering that the East has had a few powerhouses of its own, most notably the Penguins and (at least in the regular season) the Capitals. So it’s not like Eastern teams have been able to just settle for mediocrity and assume they can breeze into the finals. Too many Eastern bottom-feeders — Consider this the flip side of the previous point. While there have been some consistently awful Western teams over the years (the Oilers, the Blue Jackets), most of the true train-wreck franchises from the past decade or so have been Eastern teams. The Panthers, Islanders, Thrashers, Maple Leafs, and Lightning have all made regular appearances at the top of the draft board, and before the 2004-05 lockout, Pittsburgh was consistently bad, too. So maybe the overall difference between the conferences isn’t as pronounced as we think, and it’s really the bottom-feeders that are dragging everyone else down. But a look through the standings archives doesn’t really bear that out. There are a handful of examples of bad teams getting crushed by the West — take out the 2005-06 Penguins’ 1-9 record and the two conferences are even — but they’re the exception. The East’s losing record has largely been a team effort. The West just has better players — Maybe we’re overthinking this. Maybe the West is the better conference because it just has better players. After all, the conference is the home of long-term stars like the Sedins, Shea Weber, Joe Thornton, Jonathan Toews, Patrick Kane … you get the idea. Maybe we’re just seeing the effect of a skill level the East can’t match. That would suggest the East actually has more elite players. Of course, it could also mean there’s a geographical bias at work in the awards voting, a subject that comes up fairly often. But it’s hard to accept that a conference that features players like Sidney Crosby, Alexander Ovechkin, and Steven Stamkos is lacking in star power. The pull of the East Coast spotlight — Tying into the previous point, if the East Coast teams get a disproportionate share of the media spotlight, then maybe Western teams raise their game to take advantage of the boost in attention. (Ask any Maple Leaf fan about the effect that playing on Hockey Night in Canada has on visiting teams — they’ll swear to you that every player in the league has had his career-best game in Toronto.) Meanwhile, Eastern players happily take a night off when they go to Phoenix, because they know nobody’s watching. Does that make any sense? Not much, to be honest, but it might help East Coast fans feel better about themselves, and that’s something. The Metropolitan Division is terrible — This one doesn’t help with our 12-year streak, but it does offer some insight into this season’s results. It’s no secret that right now the division is basically the Penguins and then a bunch of teams treading water. There are nine teams in the league stuck at four points or fewer, and five of them are in the Metropolitan. It’s not surprising, then, to see that the Metropolitan also accounts for most of the East-West gap this season. The Atlantic Division has actually posted a respectable 10 wins in 22 games against the West. But the Metro10 has managed just five wins in 24 games, basically dragging the whole conference down with it. So what’s the answer? It’s probably a little bit of all of the above, mixed with a good dose of random noise and (for this year, at least) a small sample size. But the simplest explanation is that the West just has better teams, and has for a while. Whether that’s a fluke of distribution or something bigger is hard to say. We should expect to see this year’s disparity even out somewhat over the coming months. The Penguins are probably the East’s best team, and they’ve only played the West once so far.11 The same goes for the Red Wings and Bruins, while struggling teams like the Rangers, Caps, and Panthers have all played them four times or more. Meanwhile, strong Western teams like Chicago have spent most of their season beating up Eastern teams. Once the schedule evens out a bit, the win-loss records should too. But history tells us that the West will still have an edge, and potentially a large one. That could end up having a significant impact on playoff races. While much has been made about the unbalanced divisions making it harder to qualify for the postseason in the East,12 it could still end up taking more points to make it out West. So if you’re a Western Conference team that hasn’t been beating up on the East, you’ll want to get started. There may not be much honor in picking on a weaker sibling, but there are plenty of points. Teams only played within their own conferences during the lockout-shortened 2012-13 season. The maddeningly unnecessary bonus point awarded to teams that lose in overtime or the shootout. For example, last year the Leafs and Sabres played four games and each team came away with a 2-1-1 record, meaning each team could claim to own a .625 record against the other. The NHL standings don’t make sense. Team shots and missed shots in close situations, expressed as a percentage; Fenwick close is meant to show which teams are driving possession. Again, with a win being a win, regulation or otherwise. Last year, with no inter-conference play, the East actually outscored the West by 101 goals. Last year’s Vezina winner, Sergei Bobrovsky of the Blue Jackets, won it while playing for a Western team that has since moved East. Are we calling it the Metro yet? I need a ruling. Pittsburgh beat Edmonton, 3-2, on Tuesday night. Because there are two extra teams fighting for the same number of spots.